1867: When democracy came to the Isle of Man? The Isle of Man holds a unique place in English Legal History. From 1266 to the late 14th Century, the Island was alternatively ruled and vied for by Scotland and England. Eventually, the Island came under the rule of the English Crown, but never became part of the United Kingdom, and retained its own legal system, albeit strongly influenced, and at times determined, by English law. The Island today therefore is a self-governing Crown dependency. The UK Government is responsible for the management of the Island’s defence and external relations generally. The UK Parliament maintains the power to legislate for the Island, although it is disputed whether Acts of Parliament are superior to Acts of Tynwald, the Manx legislature. Manx Legal History and its inter-relationship with English Legal History is fascinating and is worthy of close study. One hundred and fifty years ago, the Isle of Man carried out its first elections to the national legislature, the Tynwald. From the early 17th century the House of Keys, the lower chamber, had been elected by a partnership of the Lieutenant-Governor of the Island and the Keys themselves. The Keys would nominate two candidates to a vacancy, of whom the Lieutenant-Governor would elect one, almost invariably the first. Unsurprisingly, as Moore put it, the Keys became “a closed corporation … largely confined to a few leading families”. The upper chamber of the Tynwald, the Council, consisted of the principal Crown officers of the Island. This matched a model to be found across the British Empire. A lower chamber elected by itself, however, was not to be found elsewhere. In 1837 Robert Peel described it as “[s]o anomalous a body as could not exist within the British Empire”. Certainly it contrasted sharply with contemporary elected assemblies in the Province of Canada (1841), and New Zealand (1853). The catalyst for attention being directed at this anomaly was not a strict concern with Imperial consistency. Rather, during the nineteenth century there was an increased concern that Manx revenues were not being spent on projects to advance Manx interests, and consequent Manx pressure for reform. The old Manx constitution posed two significant obstacles to the granting of greater authority to Tynwald – the legislation which led to the 1867 elections dealt with these obstacles in order to allow the creation of distinctively Manx public finances controlled by Isle of Man based officials. Firstly, enhancing the practical powers of the House of Keys while leaving them in the grip of a particular class of society was not acceptable to the Imperial government. This was particularly the case as the Isle of Man was already developing elected government at local level. An 1866 Act provided for popular elections to the House of Keys to be held in 1867, with the first elections taking place across 2-5 April. Secondly, the Keys had an ancient, and distinctive, role as the ultimate jury of the Island. From 1601 the Keys sat in the Manx criminal court which dealt with felonies, responsible for punishing juries who gave a false and partial verdict. By 1823 they were seen as overreaching themselves, and delaying the court. In 1824, under orders from London, the Lieutenant-Governor manufactured a test case which, on reaching the Privy Council in 1824, confirmed that the Keys had no place in the criminal court. Even after their removal from this Court, however, the Keys continued to exercise their customary role as a jury of appeal in other cases, particularly serious civil cases. Numerous examples can be found of the Keys reversing the verdict of a lower jury, for instance in 1830 reversing the dismissal of an assault suit and awarding £100 damages plus costs to the plaintiff. The Keys as a body could thus be responsible both for passing a law, and acting as appeal jury in a case turning on that law. Concerns were exacerbated by the role of individual Members of the Keys as important parts of the Manx establishment, particularly the legal establishment. G.W. Dumbell, for instance, had represented the plaintiff in a libel case against the Manx Sun. On appeal to the Keys, Mr Dumbell was part of the body which decided to increase the damages awarded to that plaintiff, his client, from 40 shillings to £100. The role of the Keys in jury trials was put forward at one point by the Keys as a reason why they should not be subject to election. Instead, the 1866 legislation removed them from the appeals process, and 1867 legislation introduced a new appeals procedure. 1867 is justly celebrated in the Isle of Man. It was an incomplete democratisation, but provided an essential foundation for extensive reforms in the century that followed. Firstly, initially the electorate was very narrow, with an open ballot, and a franchise limited to adult males able to meet a high property qualification. Kermode has suggested that around 20% of the adult population were eligible to vote, with even fewer eligible to stand for election. The first elections led, in the words of Brown’s Directory, to “a thoroughly conservative house, 13 of the 24 members elected having sat in the old self-elected House, and a majority of the 11 new men being pledged to conservative views”. These issues were addressed by fifty years of electoral reform. Most importantly, and not sufficiently well-recognised globally, in 1881 the Isle of Man became the first territory in the British Empire to include women in the electorate to the national legislature. The first vote by a woman was cast by either Eliza Jane Goldsmith of Ramsey, Catherine Callow of Ballakilley, or Esther Kee of Leodest. Although not initially an equal franchise, the comparative narrowness of the period 1866-1881 when men, but not women, had the vote, is something for the Isle of Man to celebrate. Secondly, although the Isle of Man gained increased fiscal autonomy, and a role for Tynwald in how it was exercised, the Manx constitution remained dominated by the Lieutenant-Governor, an appointee of the Crown. Ideas of responsible government, where executive authority was increasingly exercised by officers responsible to a locally elected assembly, were gaining ground, and being adopted in British North America (1848), and by New Zealand and most of Australia by 1859. Responsible government was categorically, and deliberately, not intended to follow from elections. It was not until well into the twentieth century that responsible government came to the Isle of Man. The increased legitimacy the Keys gained from a democratic mandate had a significant role in this. As Lieutenant-Governor Hope foresaw in 1853, an elected Keys “would claim far greater and more arbitrary power … at issue with the British Government, [than] any Council consisting of Members nominated by the Crown”. Before discussing the specific history of the institution, we must look briefly to the 18th and 19th Century history of legal education in general. An early regulator asserting some form of professional control on solicitors was the Society of Gentleman Practisers in the Courts of Law and Equity, which was established in 1729 (for a full discussion of this regulatory development and Articled Clerks in general, please see my blog post on the History of the Training Contract). This body had the aim of improving the standards and reputation of solicitors. In 1823, several attorneys related to this group desired the establishment of the London Law Institution, again to ensure good practice amongst solicitors. The Law Institution was established in 1825 (London having been dropped), although its full formal title was the Society of Attorneys, Solicitors, Proctors and others not being Barristers, practising in the Courts of Law and Equity of the United Kingdom. By 1903, it had changed its name to the Law Society, although it had been colloquially known as this for years beforehand. The Law Society began lectures for Articled Clerks in 1833. However, mandatory requirements as to examination before entering, and during, your Clerkship were not introduced until 1860 and practical powers to conduct these examinations were not given to the Law Society until 1877. Initially, the Law Society employed a staggering 3 lecturers who each gave between 9 and 12 lectures annually. By 1863, tutorials were offered to support smaller groups of students and in 1879 a 4th lecturer was hired. Furthermore, in 1893, 2 tutors were hired to assist specifically with the tutorials. The Law Society had an extensive library which was open every day between 9am and 9pm (except for a summer term when it closed at 6pm, or on Saturdays when it closed at 4pm). Articled Clerks were allowed to access the materials if they paid an annual subscription of £2. This development built up to the Law Society opening its School of Law in 1903, an institution which by 1908 had 10 employees. In a trend as old as education itself, attendance at the Society’s lectures was low and actually declined due to the intense competition of a private legal tutorial firm, Gibson & Weldon, who opened their doors in 1876. Students were not obligated to attend lectures and 88% of those who took the Law Society’s examinations attended none of the Society’s lectures. In 1922, the Law Society required a mandatory year of lectures before sitting the middle of 3 examinations, the Intermediate Examination. Gibson & Weldon was the Law Society’s fiercest competitor and the Society negotiated a merger between them and its School of Law in 1962. The combined body was called the College of Law. 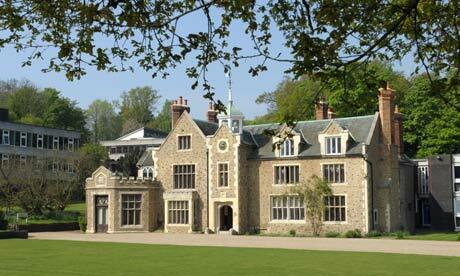 The College was created in its official legal form by a Royal Charter of 1975. In a trend that has continued, the tuition fee for a 1 year course at the College of Law was expensive; £914 in 1979 and for full-time Legal Practice Courses (a course replacing the old Final Examination) starting in September 2015; £14,750 at the London centres. A major change to the College of Law occurred in 2012 when it was granted full University status and changed its name to the University of Law. The re-branding and implications of this change are still being implemented as at 2015 and are likely to continue for several years to come. From 1962 and over the following decades, the College of Law established itself as the premier provider of legal education and is a universally known and respected name amongst the legal profession. A range of centres were opened at locations across the UK, alongside the offering of a variety of courses. The University of Law now offers an undergraduate LLB law degree and has recently announced an MSc Masters degree in Law, Business and Management. The University continues to be at the forefront of legal education and is heavily involved in the development, facilitation and improvement of the provision of, and access to, legal education. For example, through its fledgling Legal Services apprenticeships and a foundation course enabling international students, on completion, to study at undergraduate level at the University. The University of Law is an institution with deep historical roots and, considering the dynamic changes in the regulation of legal education and changes in how the legal profession needs to operate to thrive, we may see further changes in decades to come. In the East London neighborhood of Wapping behind the Town of Ramsgate Pub lies a replica of a noose and hanging scaffold. This commemorates Execution Dock, most famous as the spot where pirates were hung for their crimes in early modern London. Execution Dock was a place of execution for over four hundred years: the last execution to take place there was 1830. Execution Dock served as the site for all fatally condemned maritime criminals, but the cruelest treatment was reserved for those to be hung for piracy. During the early modern period, the vast majority of criminals who awaited a fatal punishment were jailed in Newgate (now the location of the Old Bailey Central Criminal Court) and carted to Tyburn for a public hanging (now the location of Marble Arch). Pirates and other maritime criminals, however, were instead often housed at Marshalsea Prison and carted southeast to Wapping for a public execution at Execution Dock. Traditionally in English history, people were often executed at the place in which their crime occurred. This was especially true with highwaymen, but over time the majority of criminal executions happened locally at Tyburn after incarceration in Newgate. Pirates and other maritime criminals, however, still received traditional execution treatment by being carted down to the banks of the Thames. The Admiralty used Execution Dock as the symbolic location of the sea in which pirates committed their crimes. The High Court of Admiralty carried out the processes of pirates’ executions. Initially established in the fourteenth century for early maritime legalities such as trade and funding overseas expeditions, the Admiralty Court had complete jurisdiction over maritime crimes by the mid-seventeenth centuries. Once a pirate was captured, he was taken prisoner and shipped back to London to await trial and condemnation. Known as hostis humanis generis (enemies of all mankind), a pirate was immediately considered to be guilty before facing his trial. The process of pirates’ executions had similarities to those hung at Tyburn, but there were key differences that set them apart from other criminals. As pirates were carted through the streets of London, they were led by a silver oar to symbolize the strength and authority of the Admiralty so all of London could see where the condemned were headed. Once at the scaffold, the condemned pirate was expected to give the traditional ‘last dying speech,’ in which he would confess and atone for his crimes and warn others away from falling into his wicked way of life. Pirates, notorious for their rebellious behaviour, sometimes used their speech as an opportunity to admonish cruel superiors. When this ritual was completed, the pirate would be hung by the neck until dead. However, his punishment was not a quick death. Nooses reserved for pirates were shorter than usual, causing a shorter drop and thus death by strangulation rather than a broken neck. This ritual became known as the ‘Marshal’s Dance’ because of the way the body would thrash around due to asphyxiation. Generally, after a person’s execution, they were cut down from the scaffold immediately, but this was not so for pirates. The bodies of condemned pirates continued to hang at Execution Dock for a total of three tides to serve as a warning. The most extreme case of this was of Captain William Kidd, executed for murder and piracy on the high seas, whose body remained strung up in the gibbets for three years to serve as a warning to other pirates. Pirates were unperturbed by these gruesome warnings. By the turn of the eighteenth century, pirates had grown so numerous that it became nearly impossible to transport captured pirates back to London because of the lack of an organized navy and the economic drain of transportation. After the British secured their Caribbean colonies from the 1670 Treaty of Madrid, which stipulated that the British would rid the seas of piracy, they decided to establish Admiralty Courts in Port Royal, Jamaica and colonial North America (Boston, Providence and Charleston). This allowed British legal jurisdiction to grab a firm foothold in their overseas colonies whilst regaining maritime order. It is no coincidence that Admiralty Courts were established in Jamaica right after the 1692 earthquake that nearly leveled the island. The complete rebuilding of Jamaica transformed the island from pirate haven to a ‘civil’ society. The establishment of Admiralty Courts in North America had a large impact because for decades, local governors enjoyed amicable relationships with pirates until 1698. The Navigation Acts of 1660, which required all goods traded with British colonies in the Caribbean and North America to sail through England whilst barring North America from trading with other nations, encouraged smuggling and acts of piracy. Pirates would plunder ships, sell goods along the eastern seaboard and thus enjoy a bit of autonomy. These happy privileges would end in 1698 when the Act for the More Effectual Suppression of Piracy was passed. This Act created official legal definitions of piracy and allowed for them to be lawfully ‘examined, inquired of, tried, heard and determined, and adjudged in any place at sea, or upon the land, in any of his Majesty’s islands, plantations, colonies, dominions, forts, or factories.’ This law expanded the Admiralty’s jurisdiction to the Caribbean and North American colonies. These new laws along with the establishment of overseas Admiralty Courts caused a rapid decline of piracy until it was virtually eradicated from the Atlantic World by 1730. Rebecca is based at King’s College London, researching the link between pirate executions and British sovereignty in the early modern Atlantic world. Prior to coming to Kings she earned an MA at California State University Northridge where she researched perceptions of piracy through the novel Treasure Island. Before a full sketch of the history of the Training Contract can be drawn, it is necessary to provide a brief introduction to the development of the English legal profession as a whole. From the mid-12th Century, there existed a Bench of learned men at Westminster who were an extension, and administrators, of the King’s justice and heard legal pleas. After a few decades, they decided to travel the realm and administer justice locally, and naturally their number grew. The development of anything that could be called a ‘profession’ was exceedingly slow at this time because ancient principles such as a pleader having to appear and speak on his own behalf hindered anyone being able to speak for the pleader and therefore represent him. However, some representatives were permitted and a few select names began to appear regularly on the records of the King’s Bench. At a very general level, in circa. 1250, there were two types of professional appearing, (1) a class of Serjeants at Law who presented the pleader’s case and responded to any argument that arose out of it, and (2) Attorneys who appeared on behalf of a claimant and spoke for him. The Serjeants’ workload became focused on appearing in court, whereas professional Attorneys handled the managerial, preparatory side of affairs. These broad distinctions developed over the centuries into what we now know as Barristers and Solicitors. The profession was taking shape and the 1275 Statute of Westminster imposed penalties on lawyers who were found to be deceitful, an early sign of regulation. It took time for the above distinctions to be clarified through practice and throughout the 1300s there were a group of students that learnt the ways of the court, although they were not attached to any man in particular but to the Court itself. In the 1400s, we see the word Solicitor specifically used and there was much work in the most used Court (the Common Pleas) due to the proliferation of litigation and increase in types of action; therefore the profession grew. The role of Attorney still existed but the two roles overlapped significantly, although the role of Attorney was not officially abolished until 1873. Attempts were made in the 1500s to regulate this new branch of professionals but few regulatory inroads were built. From 1590 to 1630 in particular, certain judges attempted to eliminate the profession as it was seen as less honourable and gentlemanly than the role of Barrister. Their attempts failed and, in the early 1600s, Solicitors were most certainly a distinct profession in their own right. 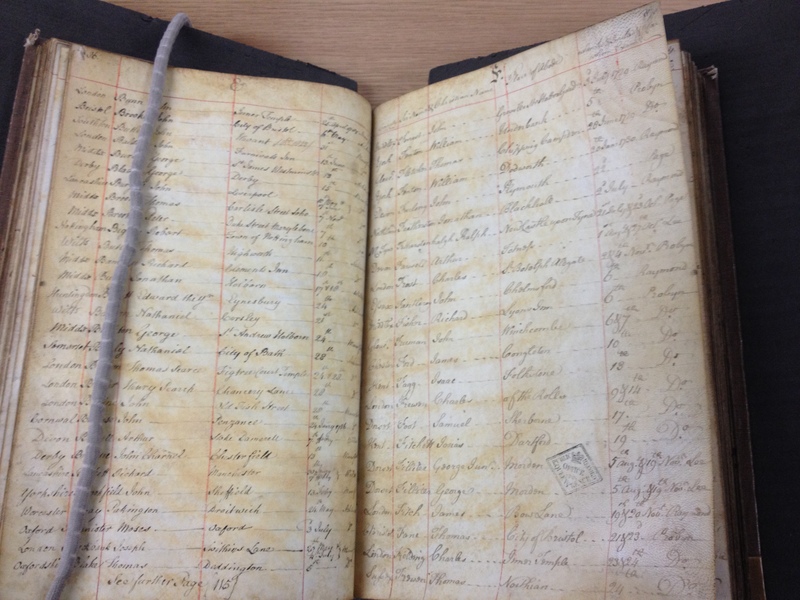 Around this time, men began to operate as Solicitors in partnership with each other and as their businesses grew it became customary for new entrants to the profession to work and learn under these Solicitors, as ‘Articled Clerks’. These were effectively contracts that bound the Clerk to their master for a certain length of time. Certainly, by the 1630-50s, it was a strong convention that these Articled Clerkships had to be undertaken, but, as of yet, there was no regulation or law on the issue. It is at this moment that we can pinpoint the early beginnings of what are now known as Training Contracts. Things slowly and ponderously developed, as they always seem to along the winding path of English Legal History. Until the Attorneys and Solicitors Act 1728, it was not required by law that there be a central record of practicing Solicitors, however some Courts did keep Books of Attorneys for their own purposes before this time. The Act specified that after the 1st December 1730, no man could practice as a Solicitor unless his name was on the Roll, and significantly, no man could practice as a Solicitor unless he had undertaken an Articled Clerkship for at least a term of 5 years. Further regulation came into place over the coming years, such as the Continuance of Laws Act 1748, which specified that Articled Clerks, on completion of their Articles, had to file a statement to this effect at the Court within 3 months. This time limit was later increased to 6 months. By 1843, pressure led to the reduction of the Articled Clerkship to a term of 3 years if you graduated from a degree at the Universities of Oxford, Cambridge, Dublin, Durham or London – as you were of a higher calibre. 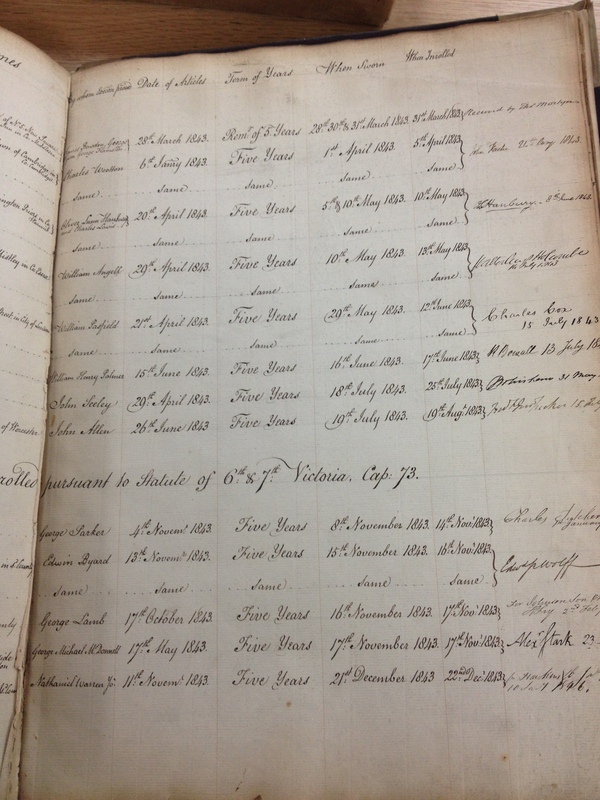 The 1785 to 1867 Register of Articled Clerkships shows the vast majority of terms being 5 years, but they are occasionally higher at 6 or 7 years and some at 3 years. One example recorded was for a mere 10 months. 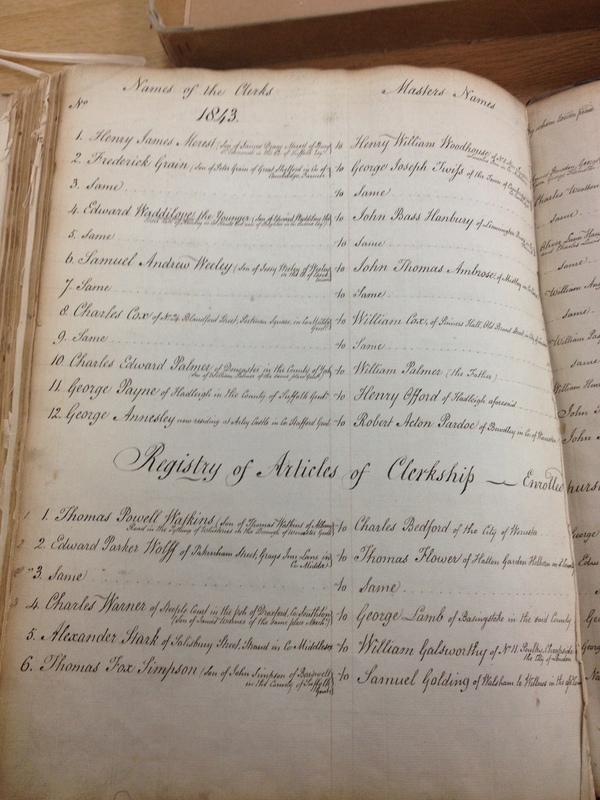 In 1785, 129 Articled Clerkships (in the busiest court, the Common Pleas) were registered which we can contrast against the 4,869 Training Contracts registered with the Solicitors’ Regulation Authority in 2011. Please see some specific examples of Articled Clerkships in Appendix 1 to this post. The Articled Clerkship continued to develop and began to generate additional complexities, exceptions and methods to ensure the quality of training involved was up to the high standards of a noble profession. In the Solicitors Act of 1860, it was established that if you worked as a de facto Articled Clerk for 10 years, you could enter the profession fully if you completed 3 years of a formal Clerkship. I believe this is the origin of the term known within the profession as ‘ten-year man’. Around the same time as the 1728 Act, a group of Solicitors set up the ‘Society of Gentlemen Practisers in the Courts of Law and Equity’. This was the predecessor body of the Law Society, which was incorporated in 1826, and now deals with many aspects of regulating Solicitors. The Solicitors’ Regulation Authority, a subsidiary arm of the Law Society, now specifically deals with the regulation of Training Contracts. It was the early forms of these bodies that imposed high standards on Solicitors and led the profession to be seen on the same level as Barristers. In 1877, further legislation made it a requirement that you had to pass exams set by the Law Society before being allowed admittance to the Profession, however exams had been carried out by the Law Society since 1836. By 1936; you were required to submit evidence of good character to the Law Society at least 6 weeks before starting your Articled Clerkship. As an interesting aside, the Solicitors (Articled Clerks) Act 1918 made provision for time spent serving in the war as counting towards the term of years of your Articles. By the time we reach 1922, the starting point is that a 5 year Articled Clerkship is still required although terms of 3 or 4 years became more prevalent. At this stage, the Law Society required a mandatory academic year to be undertaken by Clerks, although many still solely qualified through Articles. The quality of training of an Articled Clerk was again emphasised in the Solicitors Act 1936 where it is specified that a Solicitor cannot take on a Clerk until they have practiced for at least 5 years themselves. An Act of 1956 codifies for the first time a structure of what one must do to enter the profession of Solicitor. You must have (1) completed an Articled Clerkship (by this time commonly referred to as just ‘Articles’ or ‘Articles of Training’, (2) passed a course of Legal Education, and (3) passed the Law Society’s exams. Towards these ends, the 1965 Act grants the Law Society powers to create provisions regarding the education and training of those wanting to be Solicitors. The Training Regulations of 1970 specified that the longest time that could be served under Articles was 4 years, although if you were a law graduate, this was most commonly 2 years. The currently in force 1974 Act allows for further Training Regulations to be created, in conjunction with the Secretary of State. The transition between the 1989 and 1990 edition of the Training Regulations changed the term ‘Articles of Training’ to that of ‘Training Contract’ in an attempt to use simpler and clearer language. The term of years in those regulations is set at 2 years. It has been called a Training Contract since 1990 and the very detailed Solicitors’ Regulation Authority Training Regulations 2011 are the provisions that currently govern it. There is currently a consultation being conducted by the Solicitors’ Regulation Authority named ‘Training for Tomorrow’ which may significantly change the rules and procedures relating to Training Contracts. This consultation finishes on the 28th of February 2014 and we can only wait and see where the Legal History of the Training Contract will develop next. *Observation – from the register of approximately 9,500 Clerks in this 82-year period, approximately 1 in 5 are Articled to their father. 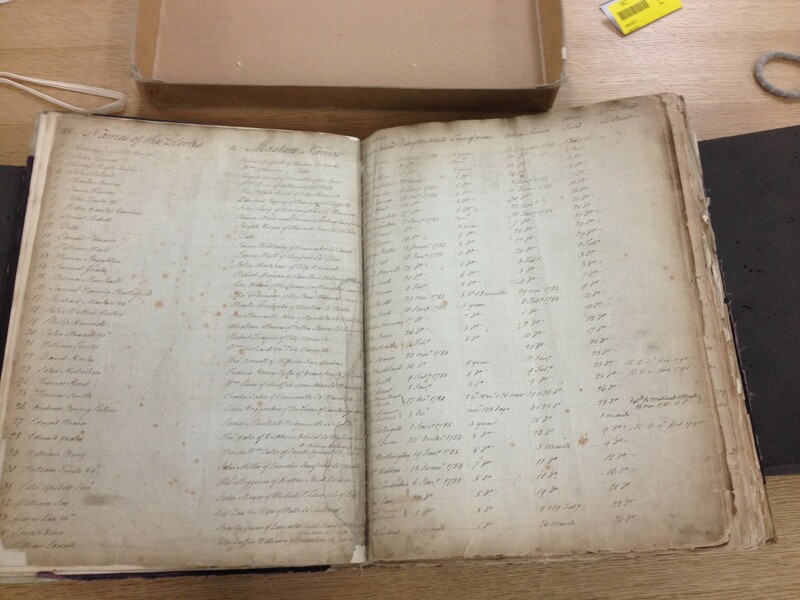 *Observation – unfortunately, the earliest Register of Articled Clerkships, between 1713 and 1837 is mould damaged at the National Archives. *Observation – the register contains approximately 7,600 solicitors admitted to the Roll over this 60 year period.